Since the first discovery of the virus in Israel in 2014, cases have been reported in Columbia, Ecuador, Egypt and Thailand. Now that screening tools are available and can be accessed by fish disease diagnostic/research labs, the number of reported TiLV cases is expected to rise. 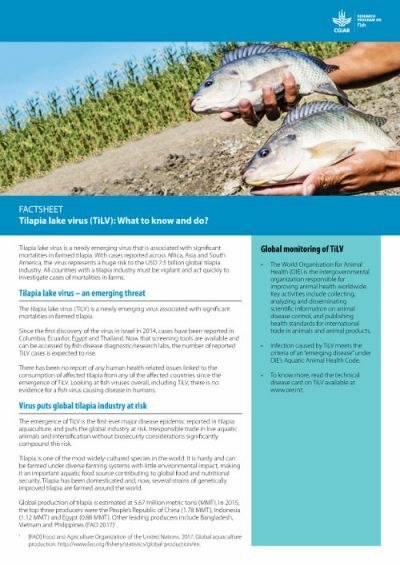 The emergence of TiLV is the first-ever major disease epidemic reported in tilapia aquaculture, and puts the global industry at risk. 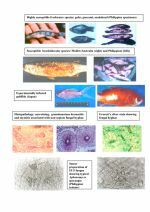 Irresponsible trade in live aquatic animals and intensification without biosecurity considerations significantly compound this risk.